At the 2015/02/20 there are 31 skins! New Screenshots at page 6!!! - Hull number, I tried to remove them but it don't works. I'm releasing the first pack of retextures for the TO-199, it is based on the Yak-130, so I make a retexture representing the combat version of the YAK and of the M-346, an italian trainer that derives from the same project of the Yak-130! They are used for CAS missions, and there is a CAP version with 4 short range AA missiles, 4 AA long range missiles, and the 2 rocket pods! MORE SCREENS ON PAGE 13! Thank you ;) sorry but I don't see message in my inbox! I like the winter camo (white/grey) pixel. How about CSAT camo for the Aggressors too? F-16C USAF Aggressors inspired retexture frontpaged on the Armaholic homepage. Updated F-16C Altis air force (AAF) retexture frontpaged on the Armaholic homepage. would it not make more sence for the AAF version to have a non camo belly like the ALCA ? Given the recent events ,what will happens if the Ukraine joins NATO? They will buy NATO planes like Poland or Romania? So I make a retexture to represent the fictional F-16s of ukrainian air force! 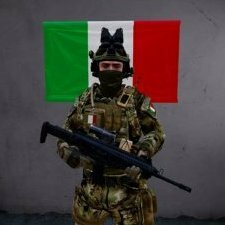 Italian Air Force Retexture release frontpaged on the Armaholic homepage. F-16C Ukrainian Air Force Retexture release frontpaged on the Armaholic homepage. We have also "connected" these pages to your account (Pinaz93) on Armaholic.